Annotation Edit supports Final Cut Pro X. You can either export subtitles as rendered images or title effects. 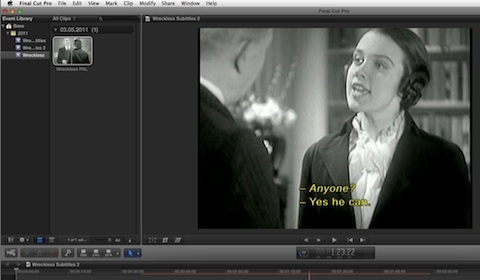 Any Final Cut Pro X title effects can be imported into Annotation Edit for subtitle preparation. Advanced support of Final Cut Pro X 10.1.x text effect fcxpml (font style, shadow, justification, vertical position).